With the South African Building Industry having closed for Annual Shutdown and many of our colleagues having already taken leave from the 16th, what feels like a strange calm has descended upon the Association. With the industry we service coming to virtual halt, as is tradition the Association will be closing its doors from December 23rd to Monday the 4th. With leave schedules being what they are, this will be the last post of 2009 and both news Articles and Blog posts, will again commence in mid January 2010. If you are driving over season take it easy, arrive alive, and be safe. Ever wondered what Greenpeace Activists do when they are not placing themselves in the way of grenade tipped harpoons whales and whaling ships, rumor has it that they like to hang around bridges. The above photograph is of Green Peace activists rappelling themselves off a bridge in Pittsburgh for the purpose of making a political statement. They were responsible for several massive banners seen around town conveying messages directed at G-20 leaders who had gathered in Pittsburgh for the September 24 summit, leaders representing 85 percent of the world’s economy. 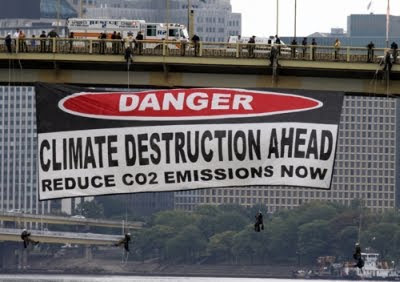 While entering into the final stretch on the road to Copenhagen, the banners some 80 by 30-feet were intended to warn of political maneuvering, that had placed the prospect of an international climate treaty in jeopardy. Another year has flown by and festive season is upon us. It’s been a year of having to endure tough economical times and we now give thanks for the successes we achieved during this difficult and challenging period. We hope that you are as excited about the upcoming season as we are, heading into the much anticipated 2010 HOOPLA!! I encourage all members to stand up for the Association, support us, encourage us, learn from us and journey with us. 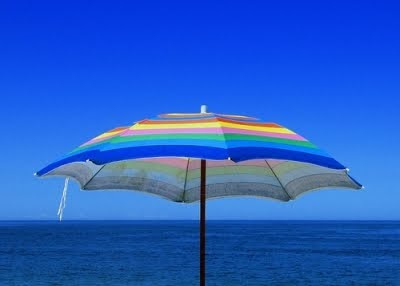 Be a team player and let us hold the umbrella together. 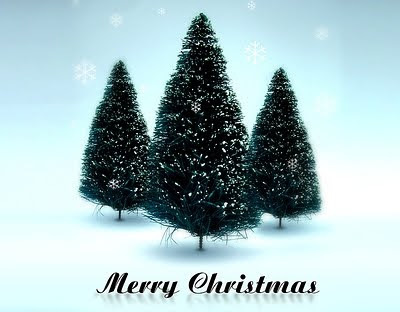 We take the opportunity to wish you and your loved ones a fun-filled festive season that exceeds all expectation. Until then, all the best!!! Be this as it may, the India Tower in Mumbai is a hugely significant symbol of environmental responsibility in a country that desperately needs it. India is the world second most populous nation and according to Wikipedia is ranked 5th among the worlds worst polluters. Scheduled for completion in 2010, the structure will be 60 storeys tall, 301 meters in height and will encompass 81900 square meters of multi-use space. The towers various rotating blocks will serve different purposes which will include residential, office, retail and recreation. The design incorporates the use of solar shading, natural ventilation, daylight usage, rainwater harvesting and green interior finishes. The India Tower will ultimately be the greenest building in India and has already achieved the US LEED Gold rating. With respect to the Association, 2009 will probably be remembered as a year that ushered in a new era. There has been an exceedingly strong drive towards deliverables, with a team of people committed to the cause. By deliverables we mean the implementation of projects and initiatives that enhance our service levels and augment our offering to both our members and the public. This year saw the launch of masterbuilders.co.za with its innovative Find-a-Builder module, plans for Greening of the Association were finalized and we also completed the shooting aspect of our SafeBuild DVD series, to name but a few. To celebrate what was a very exciting year for us, on Friday the 4th of December 2009 the Association held its end of the year function for staff. For the morning part, there were 3 activities from which to choose before later convening for lunch at Moyo. 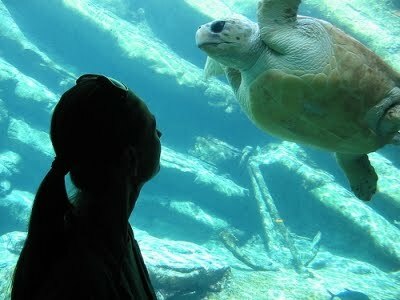 There was the option of a boat ride round the harbour, a trip to the Durban Aquarium, or for the more adventures among us, the water rides at Ushaska Marine World. With several outside companies also celebrating at the venue, a packed Moyo was especially vibrant making for an excellent experience. A big thank-you to all involved, for a memorable day out. The Master Builders Health & Safety Committee recently held its last meeting for 2009 and celebrated afterwards with a traditional Christmas lunch. Committee members who represent some of the key role players in the construction industry, worked hard throughout the year to promote the importance of safe working procedures by running Occupational Health and Safety (OHS) Forums and inviting some of the industries top personalities, to brief members on OHS topics of interest. It’s been an exciting year for KwaZulu-Natal members with the province having won 9 out of the10 awards at the MBSA National OHS Competition. In closing I would like to thank the members of the committee, never before have I worked with individuals who have such passion for what they do, helping to save lives. Situated high up in KwaZulu Natal’s Cathkin Peak area, the Drakensberg Sun Lifestyle Resort is the first in the province to be awarded a Platinum environmental classification. The custodian body is The Heritage Environmental Management Company which was formed to provide businesses with an effective environmental management and rating alternative. Their system incorporates the standards of seven international programmes with the goal being to reduce and limit the impact commerce has on the environment. 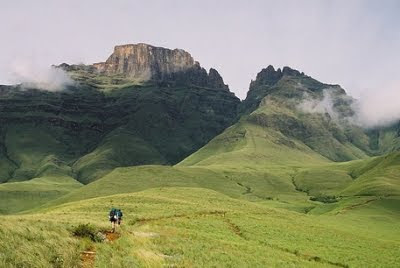 Most notably, Drakensberg Sun is the only operator in what is an environmentally sensitive area, to have had their impact independently assessed. It is also one of only three resorts in Southern Africa to have achieved this bench-mark classification. The site handover meeting pertaining to the greening alterations and additions to our Essex Terrace premises took place on Monday the 30th of November 2009. Association Executive Director Brandon Abdinor stated that one of the key objectives is for the Master Builders KwaZulu-Natal initiative to become recognized as the benchmark project for greening alterations within Southern Africa. In doing some research on Green Buildings Breaking Boundaries I came across a blog called GeekAbout.com, which encompasses paragraphs pertaining to the worlds 15 greenest buildings. 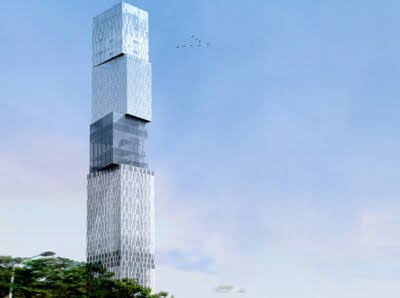 One of the projects given credence is the India Tower in Mumbai, which upon completion will according to its designers, be the greenest building in the country. 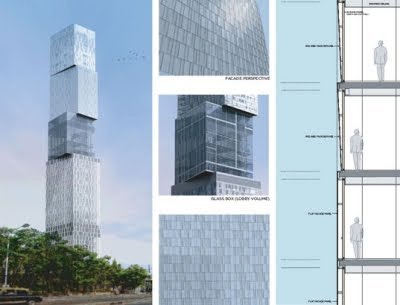 GeekAbout.com informs us that the tower has been criticized for looking more like a stack of misaligned boxes, than an intelligently designed building. The author does however (and rightfully so) commend it for symbolizing much needed environmental awareness in the world’s second most populous country. “This is in respect to the much vaunted and discussed so called India Tower. I would like to avail of this opportunity to brief readers, pertaining to a brief background of the area, where the proposed tower is supposed to be built. Though contruction may have commenced , there are still some residential pockets existing who have not signed any agreement with Neelkamal or Balwas-Dynamix( developers); for handing of the their premises. There are still legal petitions pending in court , in respect to the area, which hitherto has been known as Diamond Jubilee Compound. The Developers namely Salim Balwa, Adil Patel and Nabil Patel have mislead and duped the people of the above mentioned compound in acquiring the premises. They had promised to build an Educational institution , whereas in reality their intentions were in stark contrast to their professed statements . Balwas and Patel of Neelkamal have used professional ruffians(goondas) to get the land evicted of bonafide tenants, who had been residing in the area, for nearly 5 generations. They used criminal intimidation and strong arm tactics to get the land evicted of tentants. Both developers(Balwas and Neelkamal) time and again flaunted their political connections, in order to intimidate and subdue any opposition to their nefarious agenda. They time and again cited their affinity to Sharad Pawar and Vinod Goenka to force people to comply . I was a resident of the said compound, but was compelled to vacate, much against my wishes as Salim Balwas and Nabil Patel used criminal intimdation against my family members, incuding ladies , to make me comply. Till date i havent signed any agreement with the Developers , pertaining to handing over of my premises and i am pursuing the matter through legal petitions in the courts. Readers please bear in mind that these Developers are no businessmen, but crooks and cronies of certain politicians of the worst order. Though ostensibly the Develepors are using the title of ‘Suresh Estate Pvt. LTD’ in reality it is Neelkamal and Balwas which is running the show. The above mentioned property also falls under the Charity Commissioner of Mumbai as it is ‘waqf land meaning land which has been gifted to local muslims by the Muslim Trust of Nakhuda Rogay Trust. Also, it should be noted that these developers have exaggerated the caret areas of residential pockets in the above mentioned compound, in order to additional F.S.I., which is in direct contravention of established muncipal laws. in the deed of conveyance as signed between Suresh Estates and Neelkamal , Dymamix Balwas groups, the later have grossly inflated and maipulated the available carpet area. for eg: with respect to Baakzaa House which occupied 4500 sq. feet carpet, in the deed of conveyance the above mentioned builders nee croosk, have mentioned an area of 9500 sq feet. 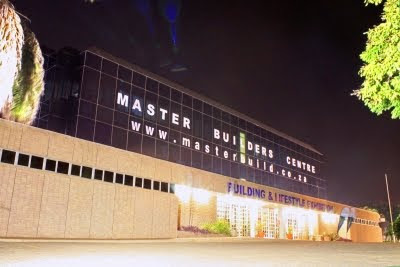 Please note that construction on Master Builders KwaZulu Natal Essex Terrace premises gets underway on Monday and will continue until 11 December 2009, at which point builders will take off for annual shutdown, returning on 11 January 2010. Upon their return, construction will continue for approximately 5 months thereafter. It is envisaged that initial construction work will be the most disruptive in terms of access to various parts of the building and noise. We hope that life will slowly return to normal as the contract progresses. 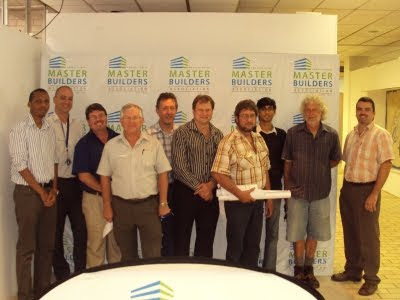 In a recent news article published on masterbuilders.co.za Brandon Abdinor (Association Executive Director) made it known that we have resolved to use this construction work, as a platform to provide certain skills transfer and enterprise development opportunities. Contractual training on the JBCC documents. The successful applicant will observe all aspects of the management of the contract relating to the JBCC document, site meetings and matters incidental thereto. The applicant will also be able to attend a formal JBCC training seminar and gain experience on all aspects thereof. Health and Safety. The successful applicant will observe all the Health and Safety activities relating to this contract and gain an opportunity to become familiar with Health and Safety best practice and legal requirements. Other technical aspects. There may be opportunities for the successful applicant to gain a degree of skills transfer on various of the construction aspects of the job. For more information click through to news article Calls for Expression of Interest. Throughout 2009, Master Builders KwaZulu-Natal encouraged members who are Skills Development Levy-payers to submit a Work Place Skills Plan. The Association assisted by having plans drawn up by our agency on behalf of members, at no charge. We were later happy to report that 37 of our members had received R221 350.80 in mandatory grants. The follow up process to this has now arrived with CETA calling for Submission for Project Proposals. This is essentially a discretionary grant and whom the grants are awarded to, will be decided upon by the CETA Project Evaluation and Monitoring Committee on completion of an evaluation process. In laymen’s terms if you have submitted your workplace skills plan, you can now request additional funding for supplementary training. Association Training Manager Victor Smith informs us that it is important to note, that should your funding request be granted, monies are paid directly into the account of the training provider on proof of training. We have placed a “Call for Submission of Project Proposals” document on masterbuilders.co.za as a PDF Download, and notify that contrary to what the document says, the project proposal template is not yet available on CETA website. CETA have however informed us that they expect to have it up in the next couple of days. 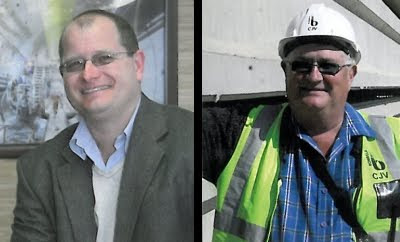 Fanie van Tonder is precast yard manager for Bombela Civils Joint Venture. Previously a Group Five director, he was involved in building Sasol 2 and 3 at Secunda; mines for Iscor and platinum companies, and has worked in Iraq, Ghana, Angola (petrochemical project in Luanda) and Kabinda, DRC (a major oil and gas separation project). While he has experience with most building materials, he loves concrete and has a keen eye for quality. Even the largest of green building projects, pale in comparison to the sheer scale and ambition of the Masdar Initiative, taking place on the outskirts of Abu Dhabi, capital of the United Arab Emirates. Masdar City is to be the world's first zero waste carbon neutral city wholly sustaining itself on solar and other renewable energy sources. While it may bear resemblance to science fiction, this clean tech 64,583,462 square foot desert utopia is fast becoming a reality, taking environmental design to a whole new level. 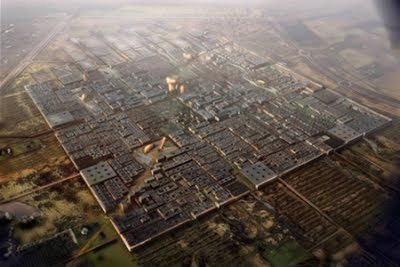 Initiated in 2006, it was estimated that the project would take eight years to build at a cost US$22 Billion. Architectural firm Foster & Partners were commissioned to design this multipurpose, high density new walled city and since it is going to be car free, the planning ensures that Inhabitants will never be more than 200 meters away from some form of public transport or personalized rapid transit. In a recent interview with Carte Blanche, John Picard, sustainability expert and the man who under the Clinton administration greened the White House, expressed the belief that cities like Masdar, simply have to be the way of the future. Grant Wood of Bryanwood Properties CC operates out of the picturesque South Coast village of Umzumbe, 100km south from Durban, near to Port Shepstone. He is currently busy with his latest development Pumula Woods which consists of eight upmarket holiday homes, each approximately 285 square meters in size. The units also located in Umzumbe, are fully furnished, and are being sold as wholly owned units or, as fractions of thirteen shares which entitle owners to four weeks per year exclusive usage. To find out more visit fractionalassets.co.za. Another exciting project Grant and his wife Trish are involved in is The Umzumbe 2010 Initiative Trust. The trust was established to facilitate an up-market accommodation package on KwaZulu-Natal’s South Coast, aimed at the FIFA World Cup traveling supporters. To this end, the trustees have created a fully inclusive accommodation package to relieve the potential traveler, of having to cope with the many logistical issues that need to be resolved, before seeing a football a kicked. The objective is not only to generate a short term revenue boost for the town, but rather to also encourage future tourism revenue, by creating international awareness and putting Umzumbe on the tourism map. Master Builders KwaZulu-Natal held its annual golf day at the Durban Country Club on Tuesday 24 November 2009. The course was in immaculate condition, following the recent rain and we managed to field 108 players. The event is in fact becoming so popular that it was oversubscribed a few weeks before the closing date. Aside from being a fun and relaxing day out of the office, events like the Master Builders Durban Golf day are intended to facilitate interaction amongst Members, as well as between Members and the Association. Judging by the feedback that we received on the day and following the event, these objectives seem to have been met. The winning team, with a score of 85 points, was the Pietermaritzburg-based team Shospec. They walked away with a GPS unit each and will have the privilege of having their company name on the Master Builders Cup, which has a long line of winners going back over 75 years. Our annual South Coast year end function took place on Friday the 20th of November, and was again a resounding success enjoyed by all who attended. While some may refer to the South Coast as the Slow Coast, those who live in this part of the world do enjoy a fantastic lifestyle and know how to enjoy themselves. The venue this year was C Bali restaurant, situated on the Mhlangeni river mouth overlooking the beach at St Michaels, with live entertainment provided by Dix Forster. The tropical setting and exquisite catering, along with Dix Vorster’s singing guitar playing and unyielding sense of humor, made for an unforgettable occasion. The floating trophy for the most active member in the region was awarded to a very worthy candidate from NPC, June Smit, who’s acceptance of the trophy was met with warm applause, WELL DONE !!! A special thanks to NPC who sponsored bottles of wine for the tables and also to Roberta at C Bali, for having provided us with an excellent venue and excellent service. On Sunday the 22nd of November 2009, Master Builders KwaZulu-Natal held its annual Midlands Race Day at its traditional venue, Scottsville Turf Club. Those who attended enjoyed it immensely with many having experienced the thrill of punting for the very first time. Of the many networking events we put together annually for the enjoyment of our members, our race day it would appear is the most relaxed. There is no dress code, no speeches and lunch is as and when you feel like it. In order to encourage everyone to take part and to also get caught up in the excitement of occasion, guests were given race vouchers with which to punt. Those who were new to horse racing, set about learning the ropes with tremendous enthusiasm and some like myself, surprisingly came home better-off for it. Thanks to Gareth and his team for an excellent day out. If I’m fortunate enough to crack the nod next year, I will most definitely be back. It was a very enjoyable Sunday afternoon and fun was had by all. Dear Members and other interested parties. 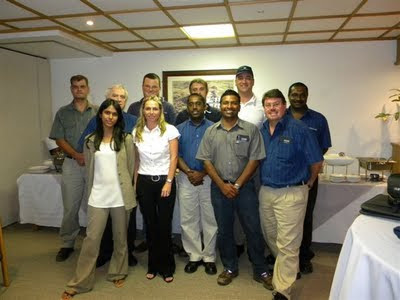 Please note: On the 4th of December 2009 Master Builders Kwa-Zulu Natal is having its end of the year Christmas Function for staff. While an individual has been appointed to man the switchboard at our Essex Terrace head office, all Master Builders Kwa-Zulu Natal branches will on the day, be closed from 9:30 am onwards. Normal business hours will resume on Monday the 7th. 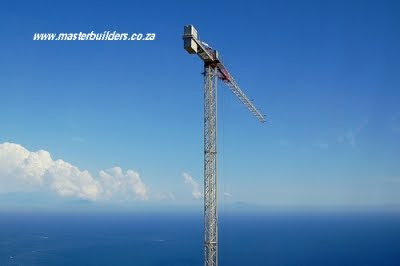 masterbuilders.co.za has grown exponentially and continues to do so with news articles, blog posts, forum posts and fresh page content, uploaded on a daily basis. Maintaining our online strategy is an ongoing process, the objective of which is two fold. To be recognized by the public as South Africa’s No1 authoritative building industry web portal. To be recognized by the search engines (Google), as South Africa’s No1 authoritative building industry web portal. These objectives are intertwined. If we reach our SEO (Search Engine Optimization) milestones, public awareness and recognition will as a result follow. My close working colleague Gary Amstutz and I are both strongly of the belief that Google get behind and support what they deem to be Authoritative Sites which are measured by volume of content pertaining to a specific subject, and the regularity with which new information is uploaded. Once you get to a point where you have the weight of a big site behind you, it seems that information moves higher and quicker up the search lists. Master Builders KwaZulu-Natal is now beginning to see tangible evidence that our strategy is bearing fruit. A great example of this is Wednesday's blog post (category: Focus on Staff) entitled John Taylor and the Spotted Shovel-nosed Frog. The Spotted Shovel-nosed Frog needless to say has very little to do with construction, it is however an endangered species to which John gives of his time to assist in protecting. 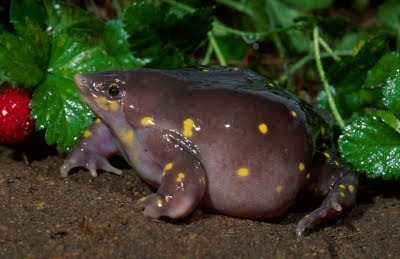 As one would expect there are loads of sites containing information on this particular species, however if on Google you do a search using the term Spotted Shovel-nosed Frog, you will find us second from the top. If you click over to the South African search, we top the list. As part of the exercise we have been monitoring various search terms with all achieving similar results. If you wish to test us, try a Google search for either Allendale Bridge, Master Builders, Annual Shutdown, to name but a few. While a committed and ongoing effort is what’s required to maintain momentum, we are exceedingly pleased to have reached a point where our members will now start to realize and enjoy the benefits of it. Members wanting to feature in “Focus on a Member” please read the criteria here, and contact me at the Association on 031 266 7070. We have over the last year, proudly displayed a succession of web albums depicting the progress of the FIFA 2010 Moses Mabhida Stadium. Now that the project is all but complete, we bring you what is likely to be the last in the series, featuring the end product. If I may be allowed to express a personal opinion, while Moses Mabhida is not the biggest of the 2010 World Cup stadiums, it is by far the most asthetically captivating. For those who are interested visiting the previous posts, click through on the following links. While most associate the name Giba Gorge with Mountain Biking, Master Builders KwaZulu Natal’s in-house programmer John Taylor, concerns himself more with the gorge’s various habitats, some of which have been recognised (at a national level), as highly significant for conservation purposes. Kloof Frog (Natalobatrachus bonebergi) – found near unpolluted forested streams. Spotted Shovel-nosed Frog (Hemisus guttatus) – found in grasslands. Crowned Eagle (Stephanoaetus coronatus) – breeds in gorge forest. Ruby-legged black millipede (Doratogonus rubipodus) – only ever recorded from Krantzkloof and Giba Gorge. John (aka Gregory John) is a committee serving member of Giba Gorge Environmental Precinct, a group dedicated to safeguarding the area's many ecological treasures. For them, a key strategy going forward is to create public awareness. For more information on Giba Gorge Environmental Precinct, visit www.ggep.org. If you are a member of Master Builders KwaZulu-Natal and wish to attend, Contact Gareth on 082 301 4812, there are still a limited number of seats available. A full field will take to the course and there are just two marketing packages still available for the event. If you are interested in purchasing one or more of them, you need to contact Tanya as soon as possible on 031 266 7070. Participants are requested to please contact Lynda on the same number to confirm Tee-off times. Bank of America Tower New York is a 2.1 million square foot, 52-story crystalline skyscraper, located in the heart of Midtown Manhattan. 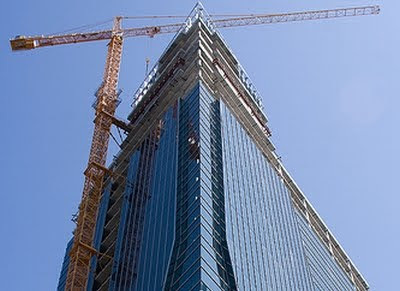 Although having opened its doors in 2008, the tower is scheduled for completion in 2010 at which point it will, according to its designers, be the most environmentally responsible high-rise office building in the world. When it comes to green architecture they don’t come much greener than this. At an estimated cost of around US $1 billion, this 54 storey tower was designed to be extremely efficient, allowing heat from the sun to be maximized, waste and rainwater to be reused, and an abundance of natural daylight to filter through. In line with the ideology of sustainable building practice, the majority of raw materials used came from renewable and recycled sources within 800 kilometers of New York. Air entering the building is filtered; air exhausted is cleaned. Insulating glass reduces thermal loss lowering energy consumption and increasing transparency. 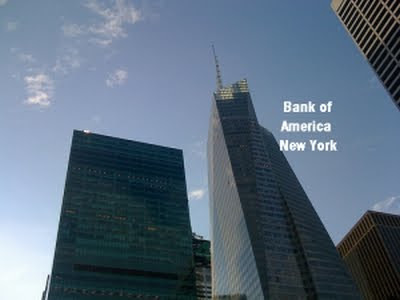 Not too surprisingly, Bank of America Tower has been accredited with Platinum Status. Let’s face it, unless somewhere along the line you have gained a fair amount of experience in the field, Do It Yourself Construction, is not a clever idea. As you will no doubt have gathered from the above video clip, any form of construction big or small, constitutes an unsafe environment. It is equally as unwise to hire contractors who come cheap, especially without doing your homework. The good news is that Master Builders KwaZulu-Natal has approximately 600 members from which to choose, all of whom subscribe to a strict Code of Conduct. 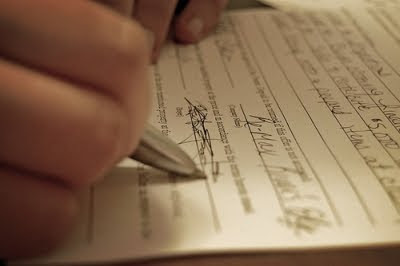 In the unlikely event that your chosen contractor does not adhere to it; our contractual and legal department will address the matter on your behalf. Next time you need a contractor, why not choose one from our very own Find a Builder Module or, if Occupational Health and Safety is more your game, visit our Health and Safety division, on masterbuilders.co.za. In an earlier blog post we reported that Master Builders KwaZulu-Natal had pledged R20,000 to a construction project aimed at uplifting a particular family in the Gamalakhe township west of Port Shepstone. Around that same time, we also reported that 15 pre-selected members of the Association had attended a breakfast meeting at the Margate Country Club, the purpose of which was to request their participation. Hans Stols our South Coast Regional Manger who was present at that particular gathering, recalls how without hesitation, Association members came forward and pledged everything needed for the projects completion, “it was overwhelming and absolutely fantastic to be a part of,” he later said. We will within the next day or so, be publishing a detailed news article pertaining to the event on masterbuilders.co.za. Master Builders KwaZula-Natal is enormously proud that all aspects of the immense Moses Mabhida Soccer Stadium project, involved members of the Association. While the stadium itself is all but complete, an adjoining indoor arena, sporting museum, sports institute and a new transmodal transport station, is still to be integrated. Using aerial photographs produced by Skyimaging, the web album above reflects various stages of the construction process. The excellent images towards the end of the sequence, were taken by Elloise van Rensburg, daughter of our very own Ben van Rensburg. If Moses Mabhida Soccer Stadium is of interest to you, you may want to visit previous posts pertaining to it. I can’t imagine that too many of my ex-colleagues at PostNet Southern Africa are mourning the passing of the Allendale Bridge. Having at one point worked in Midrand, sitting in traffic on the Allendale off-ramp is by far my worst memory of the place. The daily flow into the area is nothing short of mindboggling; I assure you that Umgeni Road at rush hour from the N2, is a bicycle lane by comparison. The above picture sequence represents the demolition of what was probably its worst bottleneck, and as long as it ultimately results in less traffic congestion, the only tears shed will be by those annoying sales folk, who make a living harassing motorists. Au Revoir Allendale Bridge, you wont be missed, not by me anyway. 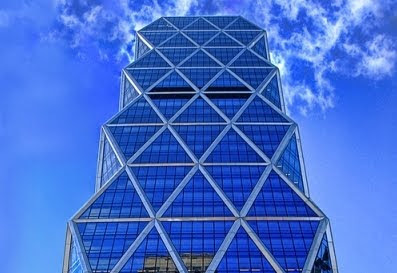 Hearst Tower was designed by architect Norman Foster and was constructed by Turner Construction. Structural engineering for the 46 storey project was supplied by WSP Cantor Seinuk and its initial recognition was for being the first skyscraper in New York City, to break ground after September 11, 2001. Upon its completion in 2006, it also became New York City’s first skyscraper to achieve LEED Gold accreditation from the USGBC (United States Green Building Council). 80% of the structures steel component, had been recycled. The exterior’s diagonal diamond shaped design was incorporated so that fewer steel beams could be used to achieve the same durability as a conventional skyscraper, while at the same time, allowing for more natural light to enter. Not too surprisingly, the buildings floor and ceiling tiles are also made from recycled materials. In addition, rainwater is collected on the roof and is channeled into a 14,000-gallon tank in the basement. It then gets pumped into the structures cooling system and is used for irrigating the towers many plants, as well as for supply to its innovative water sculpture, housed in the main lobby. In 2006, the building received the Emporis Skyscraper Award, citing it as the best skyscraper on the globe to be completed that year. I always suspected that working for the Council had to have a lighter side to it; today’s blog post definitely serves as evidence of this. Before we get into the nitty gritty, you would be interested to know that this was forwarded to us by a colleague on the inside, so there is every reason to believe it’s factual. My bush is really overgrown round the front and my back passage has fungus growing in it. He has this huge tool that vibrates the whole house and I just can't take it anymore. It's the dogs mess that I find hard to swallow. I want some repairs done to my cooker as it has backfired and burnt my knob off. I wish to complain that my father hurt his ankle very badly when he put his foot in the hole in his back passage. And their 18 year old son is continually banging his balls against my fence. I wish to report that tiles are missing from the outside toilet roof. I think it was a bad wind the other night that blew them off. My lavatory seat is cracked, where do I stand? I am writing on behalf of my sink, which is coming away from the wall. Will you please send someone to mend the garden path. My wife tripped and fell on it yesterday and now she's pregnant. I request permission to remove my drawers in the kitchen. 50% of the walls are damp, 50% have crumbling plaster and 50% are plain filthy. I am still having problems with smoke in my new drawers. The toilet is blocked and we cannot bath the children until it is cleared. Will you please send a man to look at my water, it is a funny colour and not fit to drink. Our lavatory has broken in half and is now in three pieces. I want to complain about the farmer across the road, every morning at 6am his c*ck wakes me up and it's now getting to much for me. The man next door has a large erection in the back garden, which is unsightly and dangerous. Our kitchen floor is damp. We have two children and would like a third so please send someone round to do something about it. I am a single woman living in a downstairs flat and would you please do something about the noise made by the man on top of me every night. Please send a man with the right tool to finish the job and satisfy my wife. I have had a clerk of works down on the floor six times but I still have no satisfaction. This is to let you know that our lavatory seat is broke and we can't get SABC2. Who would want to work for the Council! Those who have been following the Eskom proposed tariff hike saga will no doubt be painfully aware that the strong likelihood is that in 2012, we will be paying 5 times more for electricity than we were last year. The equation is that if you take the recent tariff hikes of 27.5% and 31.3% respectively, and factor in the three 45% expected increases, it works out to just more than 500% in total. While the mere thought sends shivers down our spines, it would appear that perhaps there is light at the end of the tunnel. Irish developer Mainstream Renewable Power plans to spend €850 million (R9.9bn) building 18 wind farms in South Africa over a five year period. 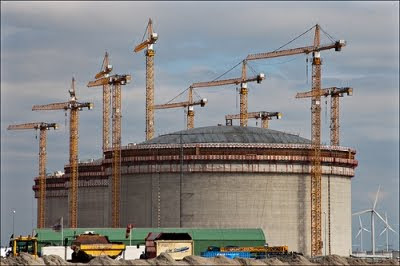 Business Report quotes chief executive, Eddie O'Connor as having said that they are on track to build its first facility at Jeffreys Bay next year, and that the group expects to begin generation in 2011. Whether when or how this is going to impact on pricing is unclear at this stage, it is however a very exciting prospect. 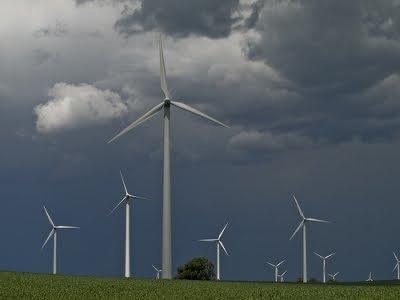 Wind is something that we certainly have no shortage of in this country and CLEAN energy simply has to be the way forward ….. it makes me want to get behind them. Let us know what you think, CLICK HERE for link to forum thread. Association Safety Advisor Neil Enslin recently uploaded a post to our Occupational Health and Safety Forum wherein he reminded us that his close working colleague Neels Nortjé, represents Business Unity of South Africa (BUSA) on the Minister of Labour's Advisory Council for Occupational Health and Safety (ACOHS). He goes on to say that they do from time to time request input on Regulations and are at present seeking participation, with regard to Major Hazard Installation (MHI) Regulations. As their area of expertise essentially pertains to the construction sector, those who have MHI knowledge are invited to make suggestions concerning regulations, which may ultimately be written into law. He ends off by asking that if you do have something to offer, that you please read the attached document. For access to that download, or to post a comment on the OHS forum, please CLICK HERE. After many long nights spent working on content, as well as working closely with web developers ensuring that design elements were as we envisaged, the new Master Builders KwaZulu-Natal website Masterbuilders.co.za, went live on 21 May 2009, as per its scheduled launch date. At the time, while we had completed enough to go live with, we were under no illusion that the bulk of the work was still to come. Since May the site has expanded considerably with lots of industry related news articles having been added along with fresh content to key areas, such as Health and Safety. We have also added an entire menu dedicated to the 2009 Excellence in Construction Awards, and have livened up various pages throughout the site, by adding new and visually stimulating images. We are now moving into a second phase of development and there are lots of exciting features to come. WATCH THIS SPACE!!!!! In 2005 Miami’s Brickell Avenue made international news headlines when tens of thousands of office block windows, were blown out by Hurricanes Katrina and Wilma. Businesses were severely interrupted by devastating winds and flooding rains necessitating that new measures be explored to limit damage of this nature in future. 1450 Brickell, (class-A' tower scheduled for completion in the first quarter of 2010) is breaking boundaries by incorporating a glass curtain wall system, produced entirely out of large missile impact resistant glass. Alan Ojeda CEO of Rilea Group, the Miami-based development firm responsible for the project, stated that construction quality has from the outset, been their chief priority. He noted that they are indeed proud that the glass contained in their tower, will be the strongest available on the market. "In setting a new threshold for curtain wall engineering and construction, 1450 Brickell is offering tenants a peace of mind that cannot be found elsewhere in Miami - or the United States." The Tower's curtain wall system (now more than 50-percent complete) withstood wind speeds of up to 327 mph in laboratory testing. Design considerations have also ensured that occupants of 1450 Brickell will enjoy sweeping views in every direction, including east to Biscayne Bay. General Motors used to be the biggest company in the world and an icon of industrial America. It recently filed for bankruptcy and is now 65% owned by the American Government. To run such a gigantic entity, meetings are essential but it was found that no decisions were being made at these meetings. To untangle this bureaucracy, a concept called GoFast was introduced. If an impasse was reached over a decision, all interested parties were “locked” into a room until a decision was made. Thousands of GoFast workshops were held to spread the concept coupled with feedback sessions. It became a nightmare with over 7000 GoFast meetings being held to discuss how to hold fewer meeting. Managers’ performance evaluations were downgraded because they were not holding enough GoFast meetings. The moral? – meetings are essential to any organization but they must be kept to a minimum, be short and decisive otherwise your organization might end up like General Motors. Over the last two and half years, I have in my capacity as Safety Advisor, had the privilege of visiting our Moses Mabhiba FIFA 2010 World Cup soccer stadium at various stages throughout its construction. On 22 October 2009 while embarking upon our final site visit, during the walk about we were very pleasantly surprised when the Structural Engineer involved with the arch and the cable car, extended us an invite we couldn’t refuse. He had arranged for Neels and I to be among the first to experience a trip to the top of the arch in Durban’s famed cable car, an activity that with much anticipation, will soon be open to the public. The view from above the stadium is awesome; it overlooks the home of Shark’s rugby the ABSA Stadium, as well as Durban Country Club and all along the Durban Beach front. The 360 degree view, as far as the eye can see, is nothing short of spectacular. I can only imagine what it must be like at night and look forward to finding out someday. For now, I feel privileged to have already experienced it; it was one of those unforeseen special occasions, that stay with you for a long time to come. As per yesterdays stadium sequence (see below) you may have noticed that our blog regularly features Picasa Web Albums. Having been told by several people that the albums do not load, I made a concerted effort to get to the bottom of this. After all, there’s little point to having them if many of those it’s intended for, are unable to view it. Firefox is my browser of choice and having never personally encountered this, I soon realized that those who do, are all Internet Explorer users. Downloading and installing Firefox is definitely one way of getting around it. To me, the fact that so many still use Internet Explorer serves as evidence that people are indeed creatures of habit, who don’t like change. Firefox is a free download and is widely regarded as a far more superior browser. If you insist on Internet Explorer and are experiencing this problem, the solution really is quite simple; you need to download a later version of Adobe Flash Player. It is also free download and is very easy to install. 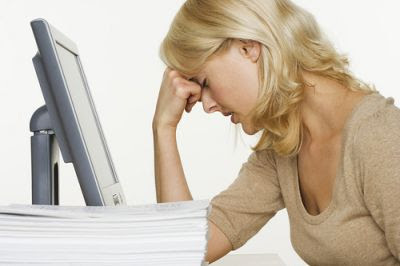 Once the process is complete, the web albums will load as intended. Hope that was of assistance to some! Moses Mabhida Soccer Stadium is now very near completion, so much so that the safety personnel will be departing the site this coming Friday. Master Builders KwaZulu-Natal safety advisers Neil Enslin and Neels Nortjé, were invited to its final inspection (22 October 2009) and were fortunate enough to participate in what will no doubt soon become, Durban’s most sought after recreational activity. As per the above photo sequence, the two of them were able to capture this amazing experience on camera. From an Association viewpoint, we are proud to be one of the first (if not the very first) to publish photographs taken form the top of Durban’s Iconic Arch. Taipei 101 also known as the Taipei Financial Center is located in Xinyi District, Taipei, Taiwan. It was designed by C.Y. Lee & Partners and constructed primarily by KTRT Joint Venture and Samsung Engineering & Construction. Taipei 101 was the world's first skyscraper to break the half-kilometer high mark and until recently, it was the world’s tallest building having since been surpassed by the Burj Dubai. 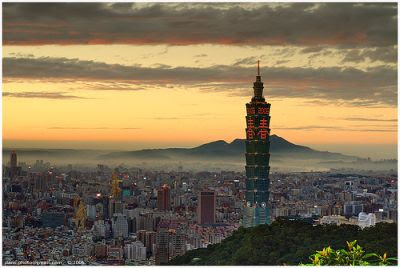 As its name suggests, Taipei 101 comprises of a 101 floors above street level. There is an additional 5 below the surface and with the aid of technology; the structure also serves as giant billboard displaying symbolism of Asian tradition. Its postmodern style allows for a modern feel to traditional features and encompasses both Asian and international style elements. The tower was built to withstand both typhoons and earthquakes and is an icon of modern Taiwan. Fireworks displays launched from Taipei 101 features prominently in international New Year's Eve broadcasts and the structure with its multi-level shopping mall, is often seen in travel literature and international media. The design accomplished both strength and flexibility through effective use of high-performance steel construction. Thirty-six columns including eight "mega-columns" packed with 10,000-psi concrete support the structure. At eight floor intervals, outrigger trusses connect the columns in the building's core to those on the exterior. It is a combination of these features with the solidity of its foundation that makes Taipei 101, one of the most stable buildings ever constructed. In 1920 Alexander Hamilton, started a company which traded as A Hamilton Builders. Between the years 1921 and 1930, the company’s reputation spread and they built many of the gracious homes which still stand in the Berea area. In 1934 Bill Hamilton joined his uncle Alex and the company of Alexander Hamilton (PTY) LTD was formed. 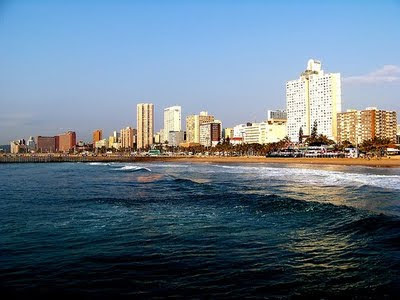 Operations were extended to include the construction of factories, hotels, apartment blocks and public buildings, many of which have become landmarks in the City of Durban. After the war years a renewed surge of business was enjoyed and at the end of 1945, the company fully engaged in contracts involving every type of construction. Alexander Hamilton was a prominent member of Association, while W.F Hamilton (Bill) went on to serve as Association President from 1957 – 1959. To Sell or To Auction? Something I came across I thought might be of interest, it appears as though the auctioneers, have somewhat benefited from the recession. 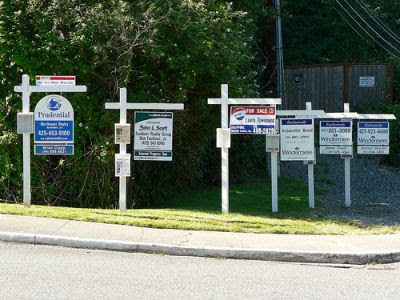 According to an online article from cyberprop.com; the auctioning off of residential homes have significantly increased since the start of the recession, and South Africa’s Auction Groups, are pushing hard to further increase their share. Greeff further warns that homes sold by auction, do in most cases go for 15 to 25% less than their true market value. Greeff also warns that those attending auctions do so in search of a bargain and that all too often they do get it, which isn’t in the best interest of the seller. “An auction is a quick-fix alternative which, while often essential, should only be used as a last resort. If a home does not sell on auction, the free market price seldom gets above the final bid price, which unfortunately becomes known to all, post auction,” says Greeff. In the battle of the Auctioneers vs Estate Agents, it’s reasonable to assume that Greef may be somewhat bias towards the industry he represents, he does however raise some very valid points which if you are considering selling, it may be wise to take cognisance of. Shahieda was born in Port Elizabeth, schooled in Pietermaritzburg and began her working career with Industrial Council for the Building Industry ( PANABI ). After several years with them, she was employed by Building Industry Training Scheme, before joining Master Builders KwaZulu-Natal Pietermaritzburg office in March 2000. Shahieda is our Midlands Customer Care Assistant, assisting Gareth with administrative duties, client liaison and the day to day running of our Midlands office. Married for 24 years, has 3 sons and a granddaughter who is the apple of her eye. Is a huge Stephen King fan. If you could meet anyone dead or alive, who would it be? Assuming Money isn’t an object, what car would you purchase? A high end Mercedes Benz. Is a huge cricket fan, says she doesn’t support cricket, she lives cricket. Something work Colleagues don’t know. Tells us she reads Tarot Cards, just for fun she says. Relaxing at home with the family. For KwaZulu-Natal Midlands members or prospective members needing assistance, Shahieda is your first port of call. 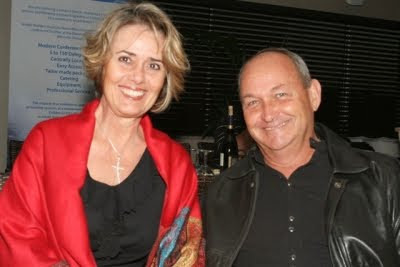 The 46th annual Health and Safety Awards function was held at the Durban Country Club on Friday evening 16 October 2009. More than two hundred delegates attended the function and witnessed how the MBA paid tribute to its members, who excelled in the 2009 OHS competition. Taking into account the fact that the sites were scrupulously audited on more than 20 different elements, standards were again, in 2009, extremely high. These included administrative and legal requirements, training, public safety, PPE, housekeeping, scaffolding, electrical safeguarding, plant and machinery, excavations, transport and material handling to name but a few. 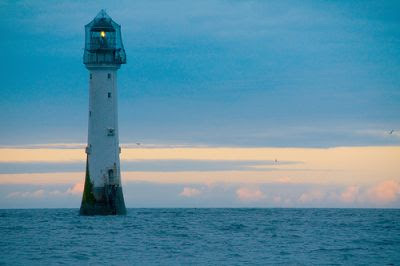 Although nearly 200 years old, Bell Rock Lighthouse in addition to its historical significance, is recognised for the masonry work on which the lighthouse rests. It is still considered a benchmark for excellence in construction and set an exceptionally high standard, for future generations to aspire to. The lighthouse was built in the early 19th century and is situated on Bell Rock 18 km off the coast of Scotland, it stands 35 meters high and is visible from 55 km inland. It operated in tandem with the Bell Rock Signal Tower, a shore station at the mouth of Arbroath harbour built in 1813. Today this building houses the Signal Tower Museum, a visitor information centre detailing the rich history the lighthouse enjoys. The lamps and reflectors were in 1843 replaced with the original equipment being used in the lighthouse at Cape Bonavista Newfoundland, where they are currently on exhibit. The beacon’s internal mechanism have in recent times been automated. The challenges overcome in the building of the lighthouse along with its resilience against harsh North Sea conditions, have led to its status as a wonder of the industrial world. To this day the masonry aspect has never been replaced or modified.